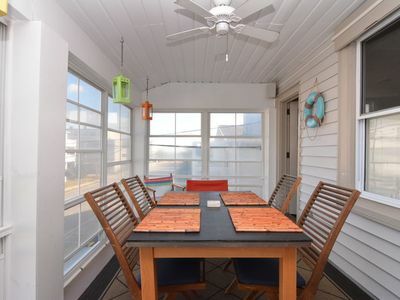 Cozy Beach Condo 3rd House From Ocean! NEW INTERIOR in 2014, and new deck and exterior in 2017! 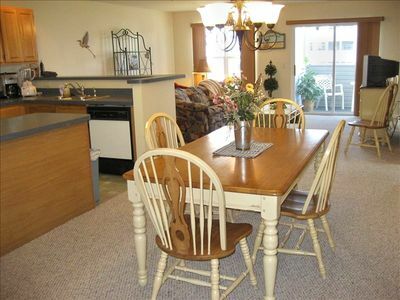 Flip Flop Fun is a charming comfy 2 bedroom condo only 3 houses from the beach. 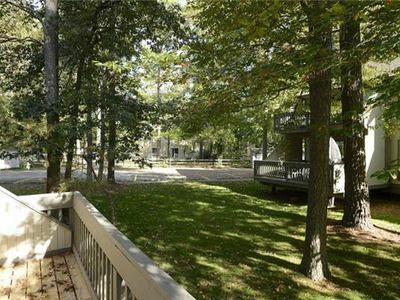 Relax on the new deck or take a stroll on the private Tower Shores beach. We’re on the first level of the Green Dolphin, west side (left). Clean, comfortable, and well maintained, our unit is one of 4 in the Green Dolphin. 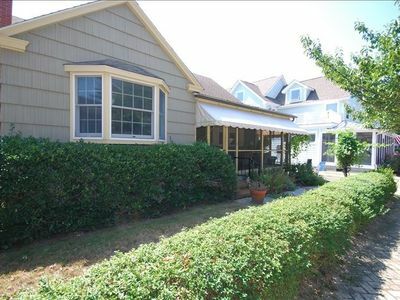 The full kitchen is bright and airy with a breakfast bar that accommodates six, and a completely stocked kitchen. The family room is spacious and cozy with a queen sleep sofa.. One bedroom has a queen size bed and the other has two twins. 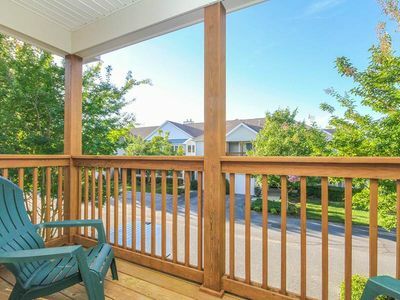 The covered deck is perfect for enjoying a family meal or just relaxing. 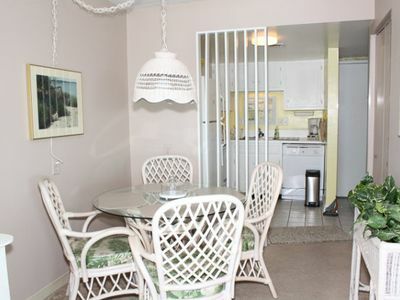 It has a table, and 6 chairs with bay views. We have a new ceiling fan, and hope to have the deck screened before the 2019 season! There is an outside shower and footwash. Parking is available under the unit and in front; 2 car limit. Matt's Fish Camp is at the end of the street (very convenient) serving lunch and dinner, with carry-out! 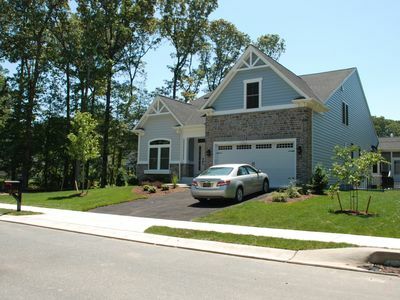 The Green Dolphin is only 3 houses from the beach providing convenient and quick access to the private beach. 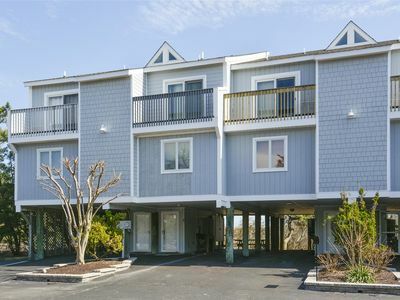 The Tower Shores location offers quick access to downtown Bethany, Rehoboth, Dewey or Ocean City. It is close enough to access all of the excitement but far enough away to enjoy some peace and quiet. 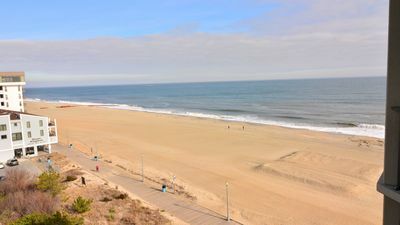 Delaware Seashore State Park is located on the north side and adjacent to our beach, for fishing and long walks. The bay side access is only 5 minutes north off of Rt. 1 for kayak, canoe, or sail boat launching. There is a walking, biking, running lane located on both sides of Rt. 1 from Bethany to Rehoboth. 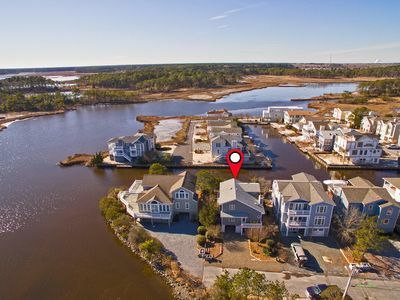 There are a wide variety of activities for adults and kids just a few minutes away either in Bethany, Rehoboth, Dewey or Ocean City Maryland. Plenty of grocery options, within 15 min. 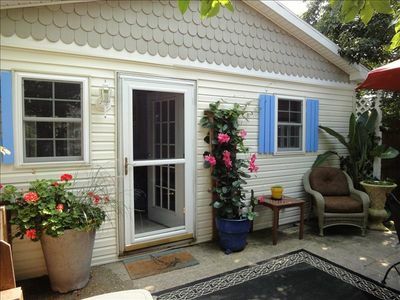 and don't forget all of the fabulous outlet shopping in Rehoboth, and the cute beach shops near the Bethany Boardwalk! 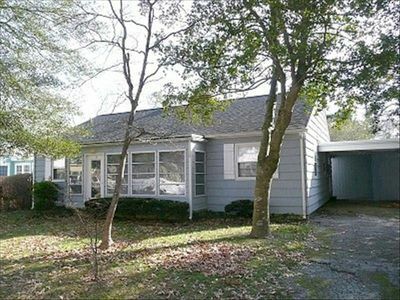 Bethany Beach is a very quiet beach community with a quaint downtown and a family atmosphere. 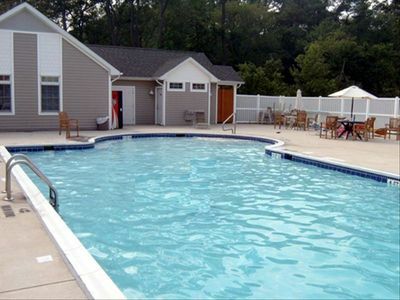 Our community at Tower Shores offers all the amenities of the beach towns but also a private beach and great location. 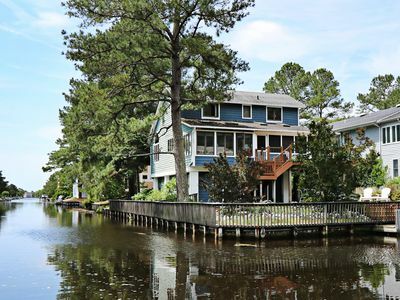 If you want your vacation to be perfect, with a great location, friendly neighbors and a comfortable laid-back atmosphere, stay at the Green Dolphin. Our guests visit time and again with us! 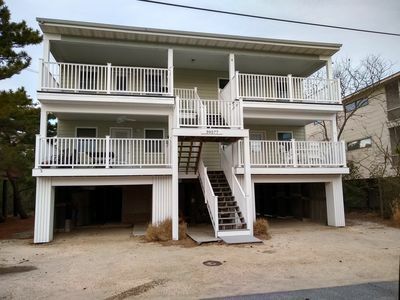 Great 2BR/1BA - 1/2 block to Beach! Now Booking for 2019! 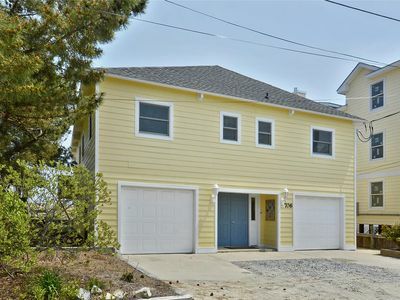 Quintessential Ocean Block Home w/ 7BR 5BA Sleeping 14 People in The Pines! FREE ACTIVITIES!! 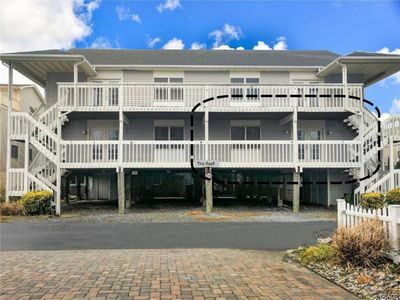 OCEAN FRONT This absolutely gorgeous unit features multi- level living with 4 bedrooms, 2.5 baths and is nestled behind the dunes with a private boardwalk taking you onto the beach. 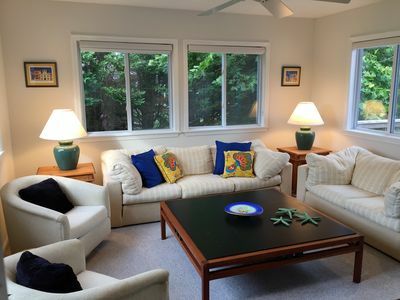 3204W: 2BR Sea Colony West condo | Walk to beach, pools & tennis! 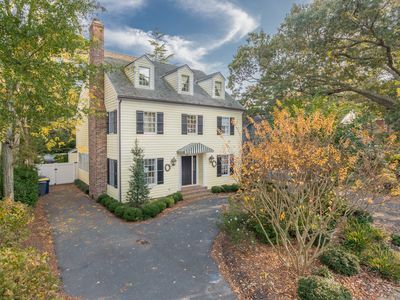 South Bethany | Waterfront property with beautiful views. 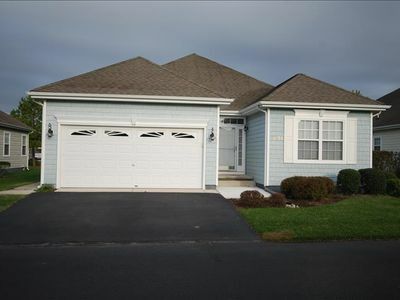 North Rehoboth Ocean Block Cottage!